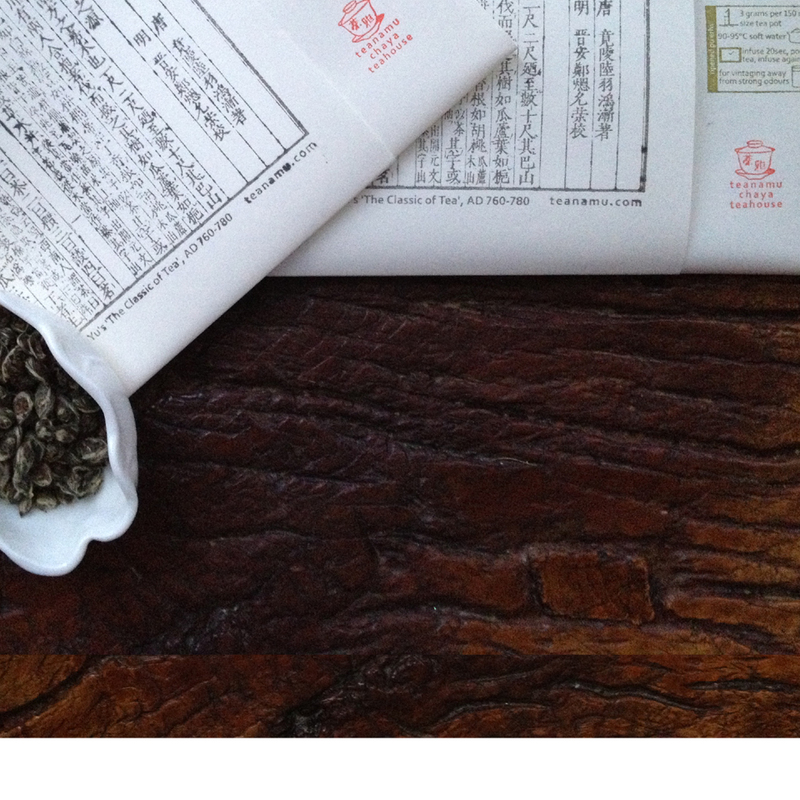 teanamu chaya teahouse > teahouse stirrings blog > drunk on tea? Tea accessing in China where unlike the western style of tea tasting, we actually drink the tea. After a whole day of drinking freshly brewed teas, I did felt a bit tipsy at the end of the day. You may be surprised to hear that anyone can get drunk from drinking too much strong tea. We Chinese even have a word for it: “cha zui” (茶醉, “tea drunk”). The symptoms can be varying degrees of heart palpitations, shivering, lightheadednesss, cold sweats, weakness in the limbs and hunger. It may have to do with the strength or the quantity of the tea, or whether you’ve eaten beforehand or are drinking tea on an empty stomach. And some people are simply more susceptible through their particular constitution. Typically, I would consider anything over 3 grams of tea brewed in 150ml water for at least 5 minutes to be “strong” tea. That is a fraction of the amount of tea I had to consume as part of my official tea assessor examination when I was being trained in China – I had to brew 3g in 150ml for 5 min. 15-20 times over! The idea was to have me brew, taste and grade 15-20 different types of tea. Of course I didn’t down every last drop I made, but I was still somewhat tipsy by the end of the exam, as well as absolutely famished! Tea can slightly reduce one’s blood pressure as well as blood sugar, which is why “excessive” consumption on, say, an empty stomach, can make some people feel a little weak or dizzy. “Cha zui” is also down to the caffeine in tea. You may be surprised to learn that tea has more caffeine than coffee. On the positive side, however, when brewing a standard cup of tea one uses a smaller quantity of tea than one would when brewing coffee. Also, a chemical in tea called theophylline, which is both a muscle relaxant and a muscle stimulant, helps regulate the effects of caffeine. 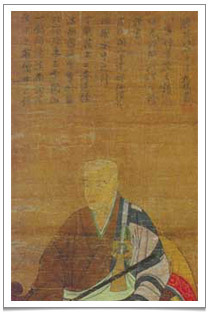 Zen master Myōan Eisai gave a pot of tea to a drunken Japanese General to help with his hangover. Unoxidised or lightly oxidised teas tend to have more caffeine. So if you are used to the more oxidised teas or mellow, vintage teas, then suddenly drinking a whole lot of teas of low oxidixation may cause a slight “tea drunkenness”. Caffeine in tea dissolves readily in water and in temperatures above 85°C, so if you are concerned to limit your caffeine intake, then you could brew your tea at that temperature and pour away the tea liquor after 5 seconds. This will flush out a good 70% or more of the caffeine. It pains me just a bit to do this as a little of the tea’s flavour will have been flushed away too! In case this blog post is deterring anyone from tea drinking, the phrase “excessive drinking” needs to be explained. Personally, I usually have no more than 3 grams of tea leaves in a whole day, which I keep re-brewing by adding more water all through the day. If I fancy a change of flavour, I might have 3 grams of another tea. Sometimes, when I have to taste many teas as part of my profession, I aim to taste teas from many different categories and then avoid tea for the rest of the day. If you do feel a bit “tea drunk”, it’s best to consume some food or at least warm water as soon as you can. This is probably the reason why, immediately after fasting in the Jewish and Muslim faith, one is offered a cup of sweet tea to prepare the stomach for the delicious food that one is allowed to enjoy after a hard day of fasting. I find that drinking different kinds of tea at one sitting also helps as it prevents us from drinking too much of the same tea and hence taking in too much caffeine from the same teas. This is why I always prepare some sugary pâtisserie for the participants of my tea appreciation masterclasses. 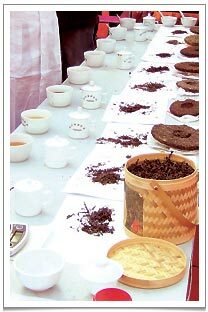 Lovers of tea not only need to know the various teas’ attributes. We should also learn to listen to our body. Generally, our bodies appreciate moderation in all things. Let our body tell us what it needs and what it doesn’t need. Even the same teas may have variations and may create different reactions to different bodies. Always be mindful of this and the enjoyment of tea will be pleasurable. A slight detour around the topic of tea and drunkenness. The Chinese and Japanese have traditionally believed that drinking tea can is a good cure for hangover. Indeed Japanese zen master Myōan Eisai (荣西, 1141-1215) (and yes he has a FaceBook page despite being dead for nearly 800 years)- credited with bringing the Rinzai school of Zen Buddhism and green tea from China to Japan – once offered a pot of green tea to the drunken General Minamoto no Sanetomo (源實朝) who then recovered from his inebriated state. This and doubtless other stories have perpetuated the belief that tea can relieve drunkenness. Oddly enough, according to some modern research – which I’m not sure if I believe – tea not only cannot relieve one’s hangover but it may actually exacerbate the effect of alcohol on the body! Again, having everything in moderation and listening to your body is, in my humble opinion, the best policy!